How long does it take to recharge an iPhone? A few hours, right? 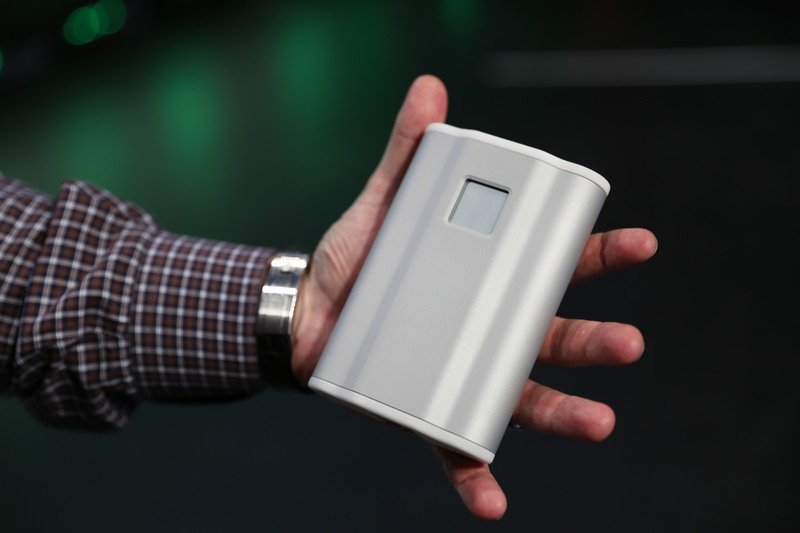 Nucleus Scientific revealed a solution onstage today at TechCrunch Disrupt NY that can charge a phone in minutes. With this technology, the company aims to allow a Tesla can be fully recharged in the amount of time it takes to pump a tank of gas. The company says its suite of battery technologies, called Intelligent Energy System, can change the way energy is stored and transferred while also extending the life of the battery, and is ready to be applied to batteries in the next generation of devices. The promise is radical yet the company’s founders have a long history in this field. Ian Hunter founded Nucleus Scientific in 2007 and is the Hatsopoulos Professor of Mechanical Engineering at MIT and head of the Bioinstrumentation Laboratory. The rest of the team is a mix of PhDs in chemistry, physics and engineering, and many are from MIT. Disrupt NY is the firm’s first public demonstration after operating under the radar for the last eight years; it revealed an engineering prototype power bank to demonstrate its advancements. The company wants to license the patented technology and is already in talks with several established companies about incorporating their hardware and software solution into existing and future product lines. This power bank is similar to others on the market but features radically different capabilities. It’s incredible, really. The 10,000 mAh engineering prototype can fully charge in 15 minutes instead of the hours usually required. That means the power bank is pulling and storing enough energy from a standard wall outlet at a rate that would recharge a smartphone in three minutes. The company also produced a working system for an electric scooter battery. Traditionally, to charge a battery required for a 12km ride would take 280 minutes; it’s only 10 minutes with Nucleus Scientific’s solution. Nucleus Scientific’s Intelligent Energy System marries hardware breakthroughs with custom software to achieve their results. The complete system of custom batteries, sensors, feedback control systems and algorithms not only allows for unheard of charge times, but also extends the life of the battery. The company constructed a large battery testing facility to build-out this technology. In the lab, the company recharged 14,000 mAh batteries (equal to nine smartphones) in 100 seconds. But if the charge time is increased to three minutes, the company was able to double the life of the battery. Today, the most commonly used method to charge batteries is called Constant-Current Constant-Voltage (CCCV). Its recharging scheme is hard on batteries, ultimately limiting its life. Instead of applying a constant current to the batteries like in CCCV, real-time monitoring of the battery is used to regulate the voltage charging the battery, extending the life of the battery. The efficiency of the system even allows for the design of radically smaller power chargers, reducing the size of a standard 100W power converter by a factor of six times. Nucleus Scientific says the technology is ready to be applied to various configurations of lithium-ion and lithium polymer batteries. The concept isn’t limited to small batteries, either — the firm says they plan to scale the technology from smartphone batteries to electric vehicles. Batteries are often the limiting factor of portable devices and Nucleus Scientific seemingly has a solution that will unlock the full potential of everything from smartphones to lanterns to medical equipment.